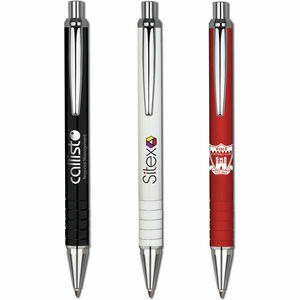 A superb value all metal ballpen available in three gloss lacquered colours with bright chrome styling. 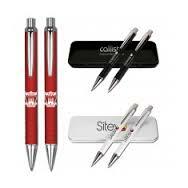 Also available in a pen and mechinical pencil Set in a stylish gloss laquered tin box. 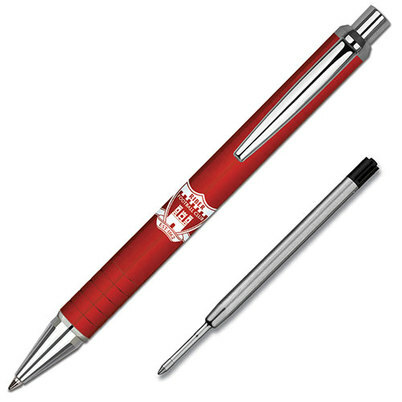 Suitable for both screen printing and laser engraving to reveal a shiny aluminium base metal. 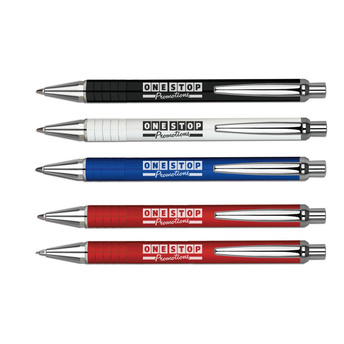 This pen has black ink and a high quality metal Parker style black ink refill.